PRICE ADJUSTMENT – VIEWS!!! 1,247 SQ FT 2 BED/2 BATH – CONVERTIBLE 3!! PRICE ADJUSTMENT – Convertible 3 bed, south facing 1,247 sq. 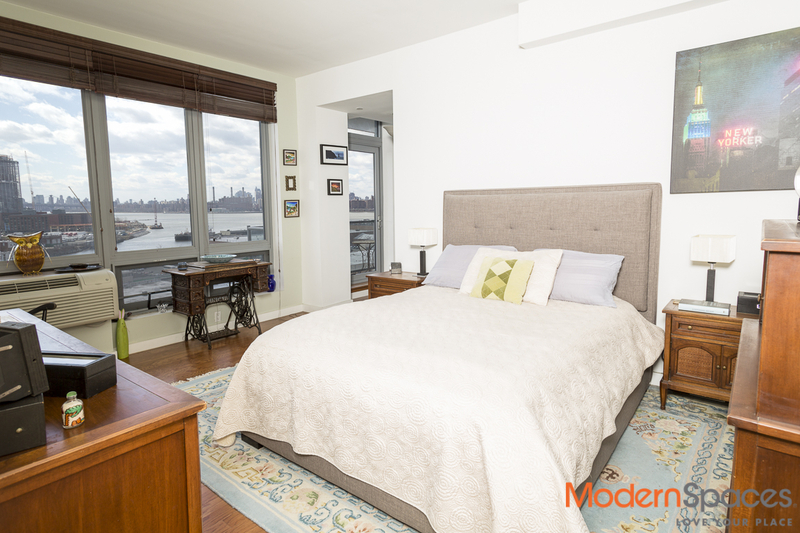 ft. 2 bed/2 bath with sprawling city views at One Hunters Point condos, 2 blocks to the 7 train. If you are looking for a spacious living room, good sized bedrooms and plenty of closet space, this is for you!! 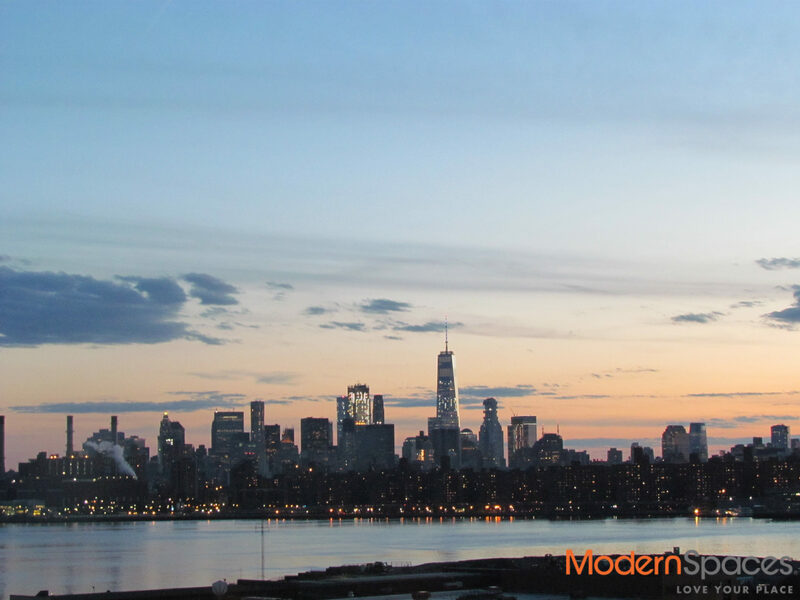 This very spacious 2 bed has sprawling views all the way to Brooklyn. 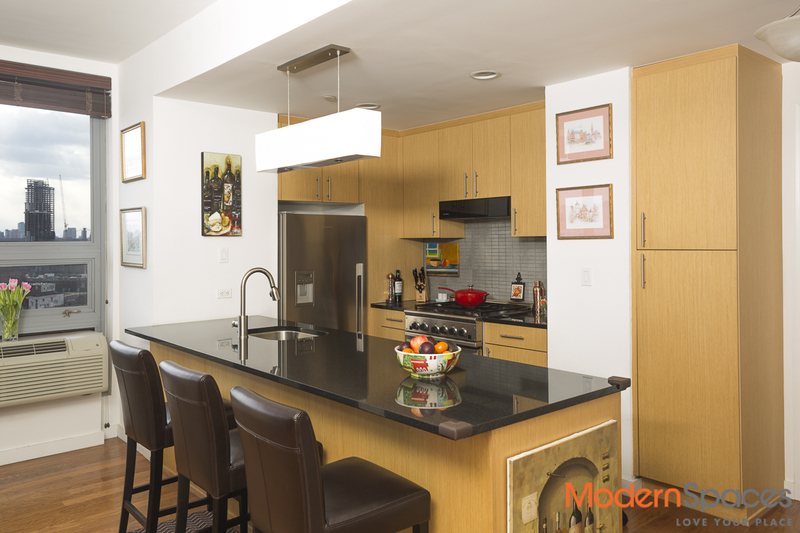 The open kitchen features a huge counter, stainless steel appliances including Fisher & Paykel fridge, stove, Sharp microwave and Bosch w/d in unit. The master bedroom can fit a king sized bed and has a fantastic walk in closet and oversized en suite bathroom with double sinks and window!! There are 2 balconies; one off both bedrooms. Low common charges include gas and hot water. 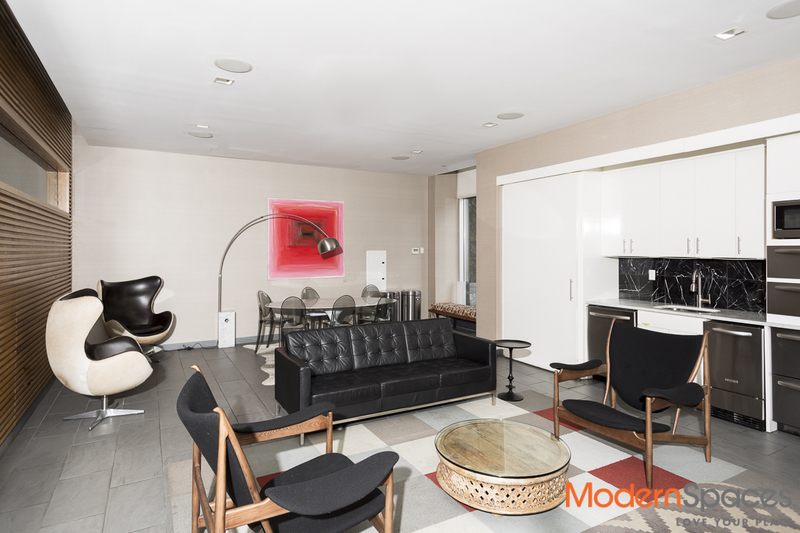 This well-run building has a live in Super, gym, outdoor garden with gas grills, lounge room and 24/7 doorman. 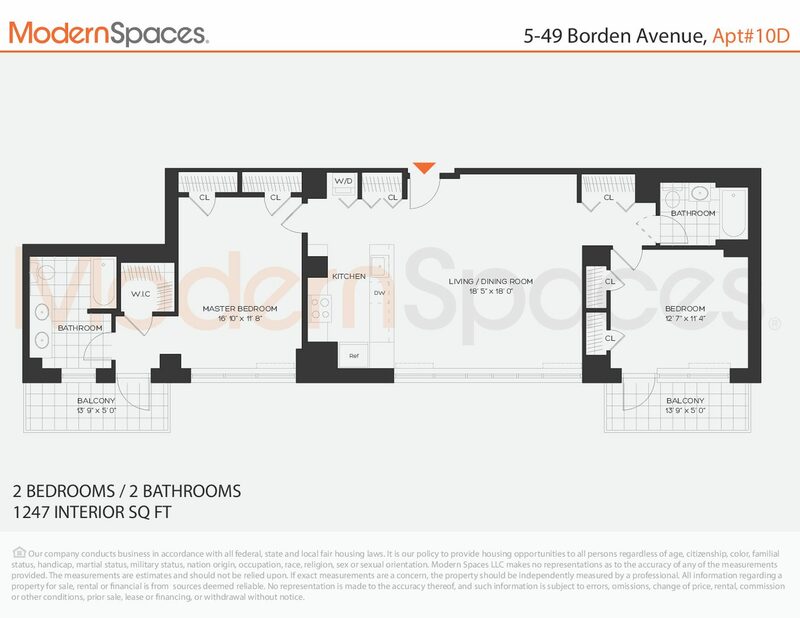 This unit also offers a separately deeded private 300 sq. 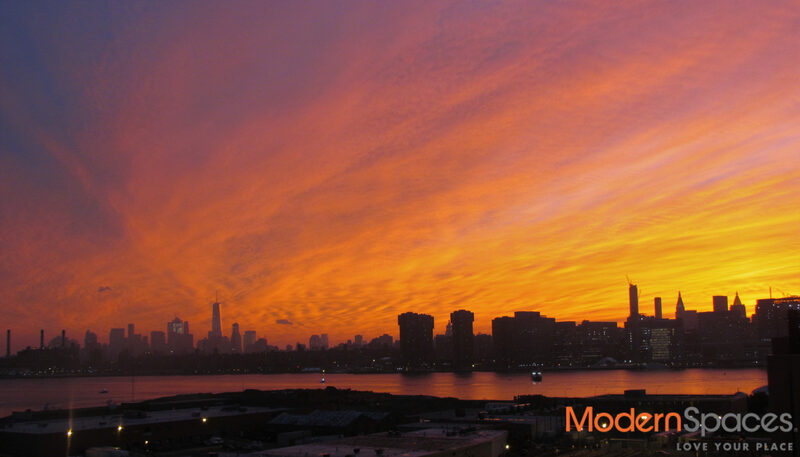 ft. corner private roof terrace with amazing city views where you can enjoy sunsets, front row seat to the 4th of July fireworks, and bbqs asking $72,500. AND, for an additional $90,000 you could purchase a separately deeded parking spot in the building!! Great package deal!! 421-A tax abatement in place until 2024. One Hunters Point Condos are right off Vernon Boulevard home of restaurants, cafes, close to the LIE, and 2 blocks to the gorgeous waterfront park and the East River Ferry. Hurry while this unique opportunity lasts for a huge 2 bed, with 2 balconies, private roof terrace, parking and 2 bike spots that can be transferred over!!!! Private showings are also available. PRICE ADJUSTMENT - Convertible 3 bed, south facing 1,247 sq. 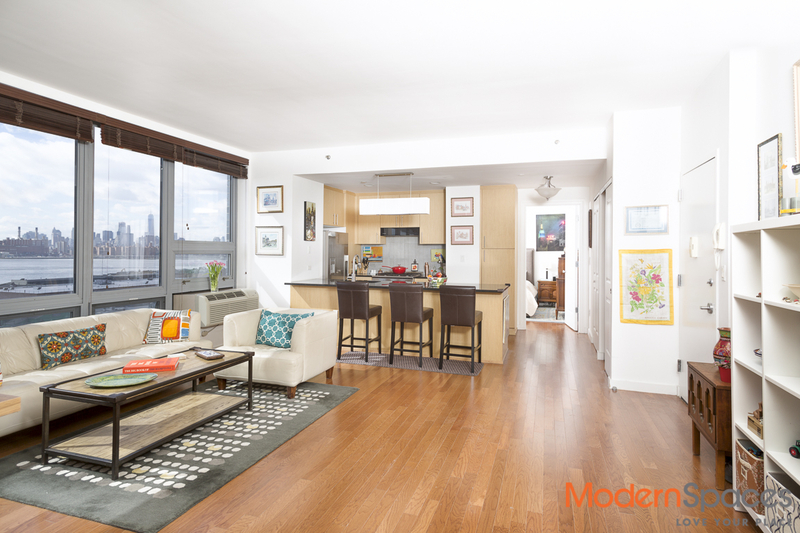 ft. 2 bed/2 bath with sprawling city views at One Hunters Point condos, 2 blocks to the 7 train. If you are looking for a spacious living room, good sized bedrooms and plenty of closet space, this is for you!! 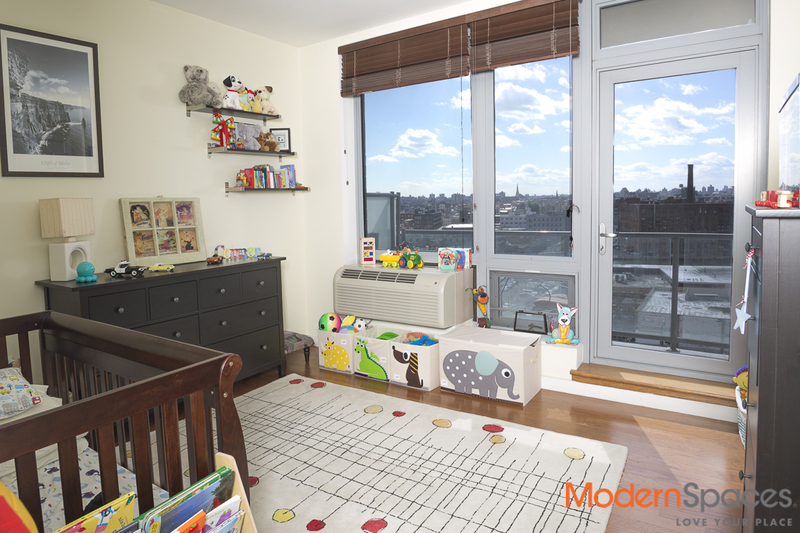 This very spacious 2 bed has sprawling views all the way to Brooklyn. The open kitchen features a huge counter, stainless steel appliances including Fisher &amp; Paykel fridge, stove, Sharp microwave and Bosch w/d in unit. The master bedroom can fit a king sized bed and has a fantastic walk in closet and oversized en suite bathroom with double sinks and window!! There are 2 balconies; one off both bedrooms. Low common charges include gas and hot water. 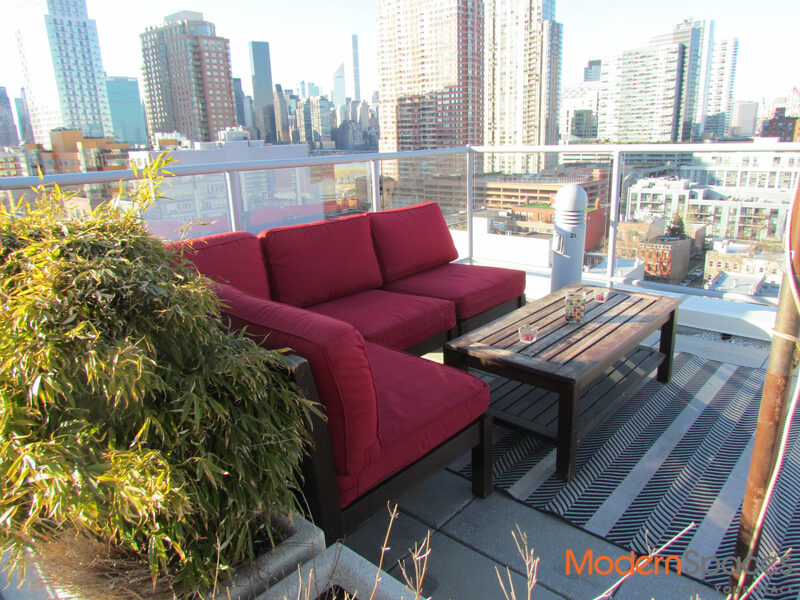 This well-run building has a live in Super, gym, outdoor garden with gas grills, lounge room and 24/7 doorman. 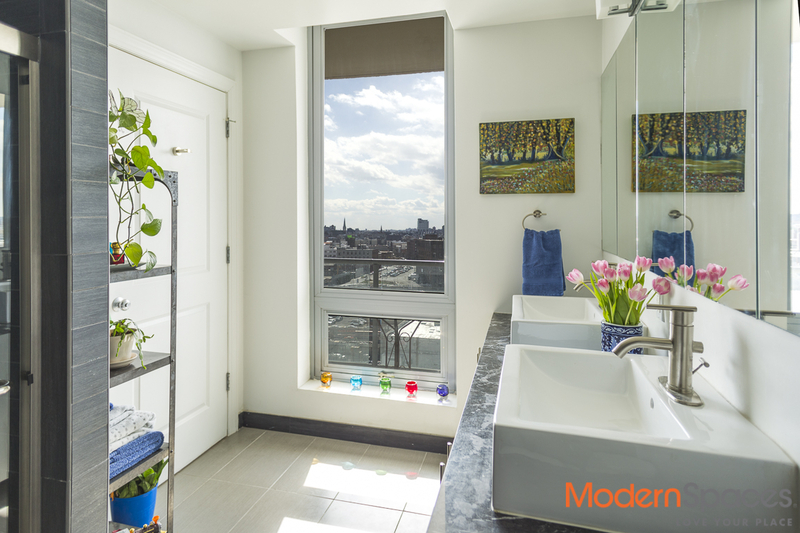 This unit also offers a separately deeded private 300 sq. 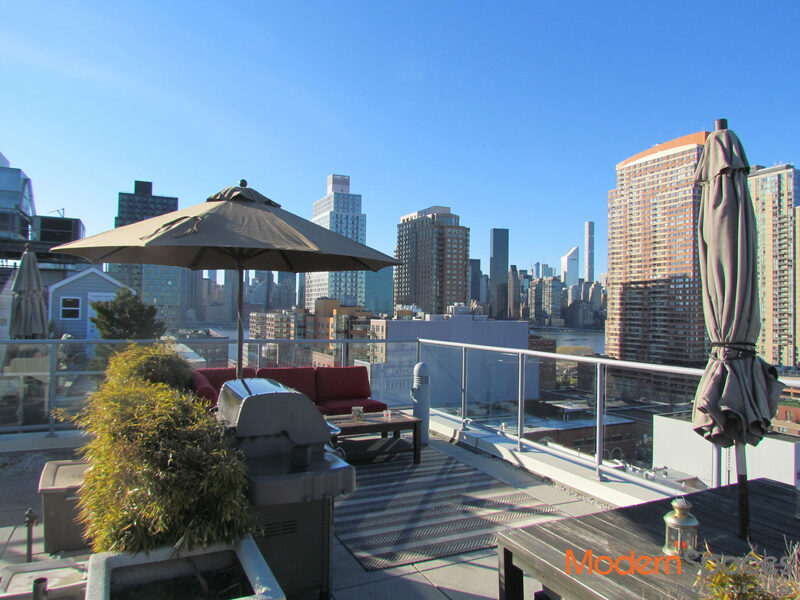 ft. corner private roof terrace with amazing city views where you can enjoy sunsets, front row seat to the 4th of July fireworks, and bbqs asking $72,500. AND, for an additional $90,000 you could purchase a separately deeded parking spot in the building!! Great package deal!! 421-A tax abatement in place until 2024. 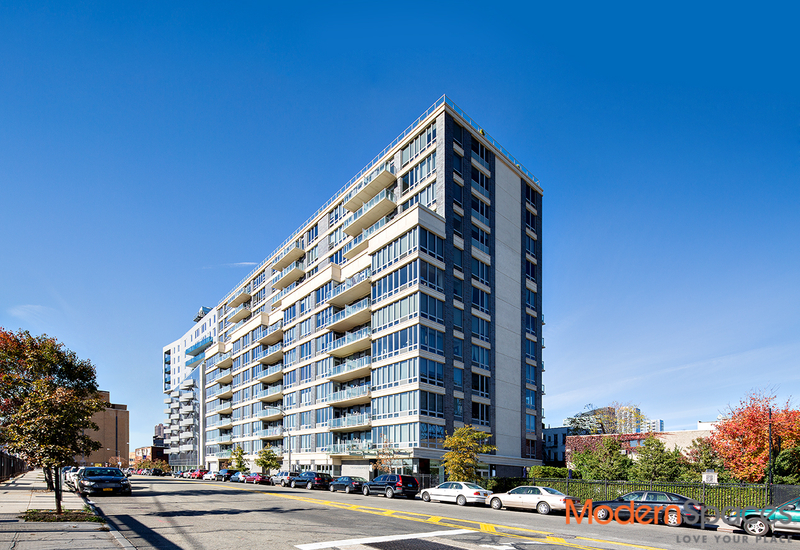 One Hunters Point Condos are right off Vernon Boulevard home of restaurants, cafes, close to the LIE, and 2 blocks to the gorgeous waterfront park and the East River Ferry. Hurry while this unique opportunity lasts for a huge 2 bed, with 2 balconies, private roof terrace, parking and 2 bike spots that can be transferred over!!!! Private showings are also available.